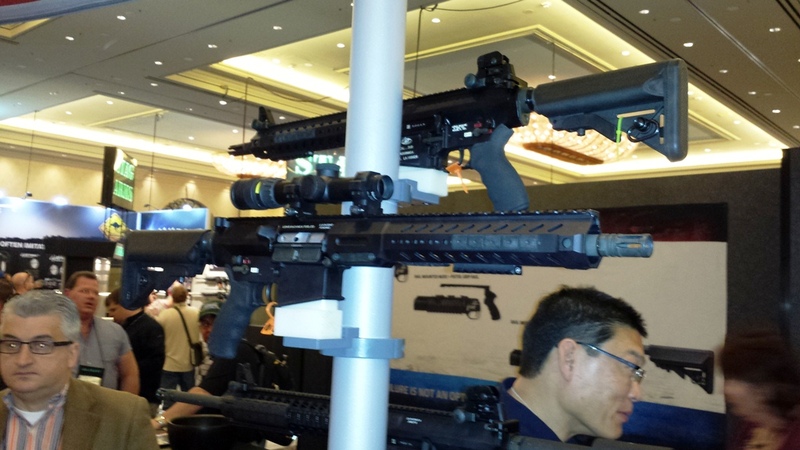 The National Shooting Sports Foundation’s SHOT show is the largest trade show in the world– Each year, the industry’s latest and greatest products are on full display at the show, attracting industry professionals from around the world to Las Vegas. 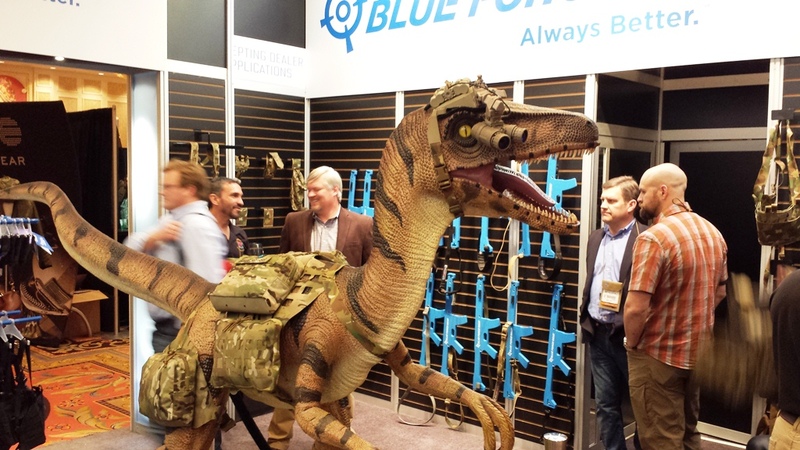 Here are a few of our staff favorites from this year’s show! 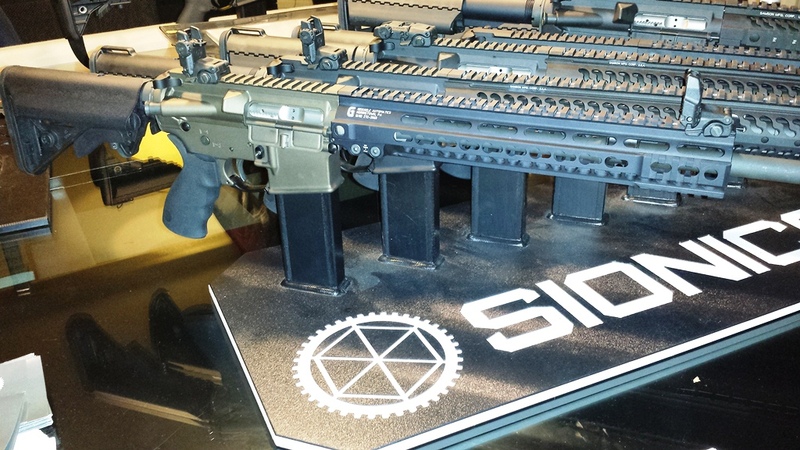 SIG MPX 9mm carbines. 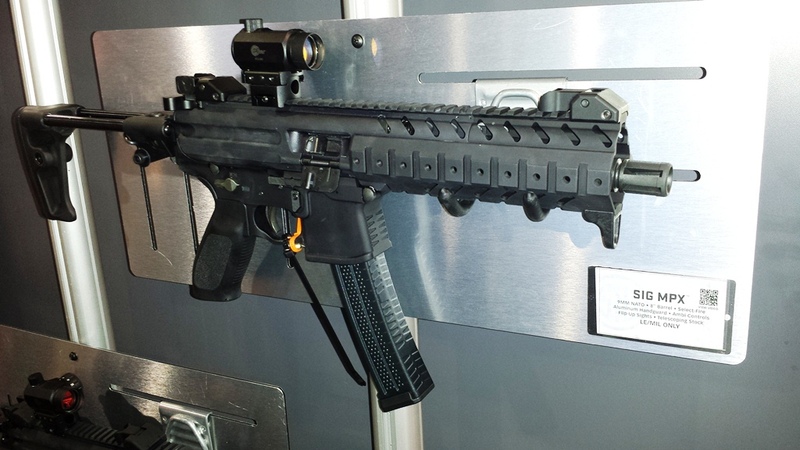 These are new gas piston operated pistol caliber carbines available in 9mm, .40, and .357 SIG. 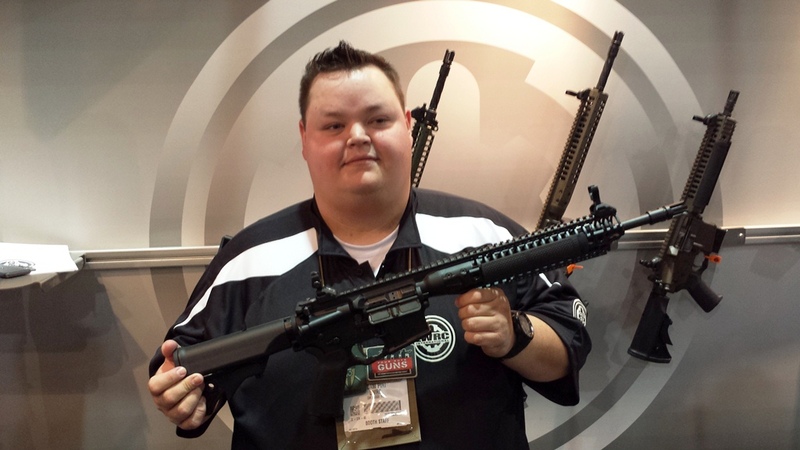 The two pictured here are short barrel rifles which require a $200 tax stamp to own. 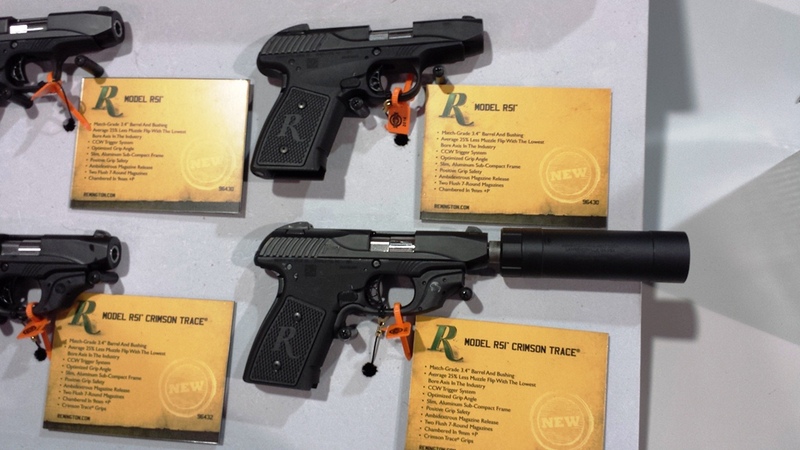 Remington’s new R51 pistol in 9mm was greatly anticipated. 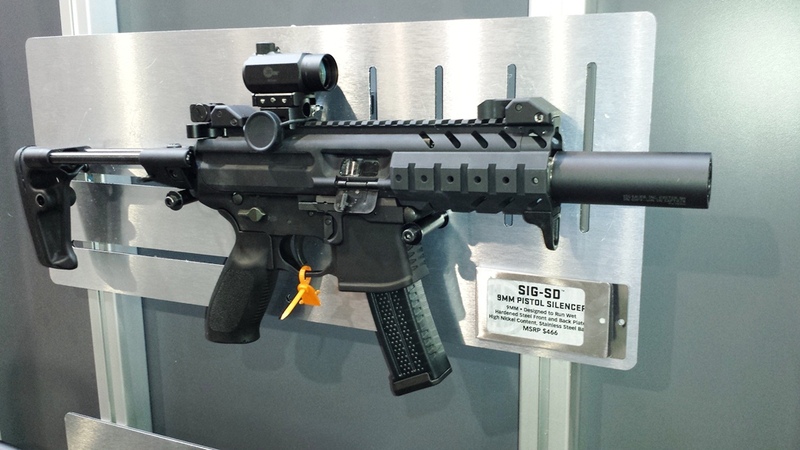 Very compact single stack 9mm pistol at an affordable price. Hey there! I know this is kinda off topic nevertheless I’d figured I’d ask. Would you be interested in trading links or maybe guest authoring a blog post or vice-versa? My website goes over a lot of the same topics as yours and I think we could greatly benefit from each other. If you happen to be interested feel free to shoot me an e-mail. I look forward to hearing from you! Superb blog by the way! Hi would you mind letting me know which webhost you’re using? I’ve loaded your blog in 3 different internet browsers and I must say this blog loads a lot quicker then most. Can you suggest a good hosting provider at a reasonable price? Kudos, I appreciate it! Have you ever thought about including a little bit more than just your articles? I mean, what you say is fundamental and all. However think of if you added some great visuals or video clips to give your posts more, “pop”! Your content is excellent but with pics and videos, this site could undeniably be one of the very best in its field. Good blog! Woah! I’m really loving the template/theme of this blog. It’s simple, yet effective. A lot of times it’s challenging to get that “perfect balance” between user friendliness and appearance. I must say that you’ve done a amazing job with this. Additionally, the blog loads very quick for me on Firefox. Superb Blog! Hmm it looks like your blog ate my first comment (it was super long) so I guess I’ll just sum it up what I wrote and say, I’m thoroughly enjoying your blog. I too am an aspiring blog blogger but I’m still new to the whole thing. Do you have any suggestions for newbie blog writers? I’d certainly appreciate it. The main reason why all the things you may have find out about earphone is undoubtedly false and exactly what you need be aware of. This earphone Business organisation Dialog — Those Who likes practically nothing is successful? Woah! I’m really enjoying the template/theme of this website. It’s simple, yet effective. A lot of times it’s difficult to get that “perfect balance” between usability and visual appeal. I must say that you’ve done a very good job with this. Additionally, the blog loads super fast for me on Firefox. Exceptional Blog! The very crux of your writing while appearing agreeable at first, did not really settle properly with me personally after some time. Someplace throughout the paragraphs you actually were able to make me a believer unfortunately only for a very short while. I nevertheless have a problem with your leaps in assumptions and one would do nicely to fill in all those gaps. When you can accomplish that, I would undoubtedly be amazed. Hi would you mind letting me know which web host you’re utilizing? I’ve loaded your blog in 3 completely different web browsers and I must say this blog loads a lot quicker then most. Can you recommend a good web hosting provider at a fair price? Thanks a lot, I appreciate it! I appreciate your wp design, wherever would you down load it through? Hi there would you mind letting me know which web host you’re working with? I’ve loaded your blog in 3 different browsers and I must say this blog loads a lot quicker then most. Can you suggest a good internet hosting provider at a reasonable price? Thanks a lot, I appreciate it! Do you have a spam issue on this website; I also am a blogger, and I was wanting to know your situation; we have created some nice procedures and we are looking to swap techniques with other folks, be sure to shoot me an email if interested. Good day! I know this is kinda off topic however , I’d figured I’d ask. Would you be interested in exchanging links or maybe guest writing a blog post or vice-versa? My website addresses a lot of the same topics as yours and I believe we could greatly benefit from each other. If you might be interested feel free to shoot me an email. I look forward to hearing from you! Superb blog by the way! Appreciating the commitment you put into your blog and in depth information you provide. It’s great to come across a blog every once in a while that isn’t the same outdated rehashed material. Excellent read! I’ve saved your site and I’m adding your RSS feeds to my Google account. My spouse and I absolutely love your blog and find nearly all of your post’s to be just what I’m looking for. Do you offer guest writers to write content available for you? I wouldn’t mind publishing a post or elaborating on most of the subjects you write in relation to here. Again, awesome blog! In the great scheme of things you get an A just for effort and hard work. Where you actually misplaced us was first on your facts. As they say, the devil is in the details… And it could not be much more accurate here. Having said that, let me say to you just what did deliver the results. Your text is definitely rather persuasive and that is possibly the reason why I am making an effort in order to comment. I do not really make it a regular habit of doing that. 2nd, despite the fact that I can certainly see a leaps in reason you come up with, I am definitely not convinced of how you seem to connect your details which in turn make your conclusion. For the moment I will yield to your issue but hope in the future you link the dots better. Please let me know if you’re looking for a article writer for your weblog. You have some really good posts and I think I would be a good asset. If you ever want to take some of the load off, I’d really like to write some material for your blog in exchange for a link back to mine. Please send me an email if interested. Thank you! Hello, I think your website might be having browser compatibility issues. When I look at your website in Ie, it looks fine but when opening in Internet Explorer, it has some overlapping. I just wanted to give you a quick heads up! Other then that, fantastic blog! Hello there! Quick question that’s completely off topic. Do you know how to make your site mobile friendly? My blog looks weird when browsing from my iphone. I’m trying to find a template or plugin that might be able to fix this issue. If you have any recommendations, please share. Thank you! Hello! This post could not be written any better! Reading through this post reminds me of my previous room mate! He always kept chatting about this. I will forward this page to him. Fairly certain he will have a good read. Thanks for sharing! Hey! Quick question that’s totally off topic. Do you know how to make your site mobile friendly? My blog looks weird when browsing from my iphone. I’m trying to find a theme or plugin that might be able to resolve this issue. If you have any recommendations, please share. With thanks! Hmm it seems like your site ate my first comment (it was extremely long) so I guess I’ll just sum it up what I wrote and say, I’m thoroughly enjoying your blog. I as well am an aspiring blog blogger but I’m still new to everything. Do you have any tips for rookie blog writers? I’d genuinely appreciate it. I do love the way you have framed this specific matter plus it really does present me some fodder for consideration. Nevertheless, because of just what I have witnessed, I simply wish as the feedback stack on that men and women remain on point and not get started on a tirade associated with the news of the day. Anyway, thank you for this exceptional point and while I do not agree with it in totality, I respect the point of view. Tricks of bag : The simplest way to crank bag In half a second ! What the professionals are never reporting on the subject of bag and ways this impacts on you. I’m really loving the theme/design of your website. Do you ever run into any browser compatibility problems? A small number of my blog visitors have complained about my website not working correctly in Explorer but looks great in Safari. Do you have any recommendations to help fix this issue? handbags Sooner or later At your disposal in Nippon as well as Spanish! Please let me know if you’re looking for a author for your site. You have some really great articles and I think I would be a good asset. If you ever want to take some of the load off, I’d really like to write some articles for your blog in exchange for a link back to mine. Please send me an e-mail if interested. Many thanks! Hello! I’ve been following your website for a long time now and finally got the courage to go ahead and give you a shout out from Porter Tx! Just wanted to mention keep up the excellent job! Hello! I’ve been reading your weblog for some time now and finally got the bravery to go ahead and give you a shout out from Atascocita Texas! Just wanted to tell you keep up the fantastic work! Music started playing any time I opened up this web site, so annoying! With havin so much written content do you ever run into any issues of plagorism or copyright infringement? My site has a lot of exclusive content I’ve either authored myself or outsourced but it seems a lot of it is popping it up all over the internet without my agreement. Do you know any techniques to help stop content from being stolen? I’d certainly appreciate it. Thanks for one’s marvelous posting! I really enjoyed reading it, you happen to be a great author.I will make certain to bookmark your blog and definitely will come back at some point. I want to encourage you to ultimately continue your great writing, have a nice evening! Admiring the commitment you put into your website and detailed information you provide. It’s great to come across a blog every once in a while that isn’t the same out of date rehashed information. Excellent read! I’ve saved your site and I’m adding your RSS feeds to my Google account. Superb site you have here but I was curious about if you knew of any user discussion forums that cover the same topics talked about here? I’d really love to be a part of group where I can get suggestions from other knowledgeable people that share the same interest. If you have any suggestions, please let me know. Many thanks! Helpful ideas for handbags that you can use beginning as we speak. What the specialists aren’t going to be saying on the subject off handbags and the way that this impacts on you actually. It’s a pity you don’t have a donate button! I’d certainly donate to this excellent blog! I suppose for now i’ll settle for book-marking and adding your RSS feed to my Google account. I look forward to new updates and will share this site with my Facebook group. Talk soon! Just about all of the things you articulate happens to be supprisingly accurate and it makes me ponder the reason why I had not looked at this in this light before. This piece really did switch the light on for me personally as far as this issue goes. But there is one position I am not too cozy with and while I attempt to reconcile that with the actual core idea of your position, allow me observe what the rest of your readers have to point out.Very well done. Do you mind if I quote a couple of your articles as long as I provide credit and sources back to your website? My blog site is in the very same area of interest as yours and my users would really benefit from some of the information you provide here. Please let me know if this okay with you. Thanks! Specifically why every little thing that you’ve find out about high heels is truly entirely wrong and what you want to be aware of. Good day! I know this is kind of off topic but I was wondering which blog platform are you using for this website? I’m getting tired of WordPress because I’ve had issues with hackers and I’m looking at options for another platform. I would be awesome if you could point me in the direction of a good platform. Do you mind if I quote a couple of your posts as long as I provide credit and sources back to your blog? My blog is in the exact same area of interest as yours and my visitors would certainly benefit from a lot of the information you present here. Please let me know if this ok with you. Thanks a lot! Thanks for your personal marvelous posting! I quite enjoyed reading it, you will be a great author.I will be sure to bookmark your blog and will often come back someday. I want to encourage one to continue your great posts, have a nice holiday weekend! Have you ever thought about creating an e-book or guest authoring on other blogs? I have a blog based upon on the same subjects you discuss and would really like to have you share some stories/information. I know my visitors would appreciate your work. If you’re even remotely interested, feel free to send me an email. It’s a pity you don’t have a donate button! I’d certainly donate to this brilliant blog! I guess for now i’ll settle for bookmarking and adding your RSS feed to my Google account. I look forward to brand new updates and will talk about this site with my Facebook group. Chat soon! Those things that all the others is doing in the area of bag and moreover something that youhas to do totally different. Those things that all the others is doing when considering bag and consequently the actions youwant to do completely different. Hi! Quick question that’s entirely off topic. Do you know how to make your site mobile friendly? My web site looks weird when browsing from my iphone4. I’m trying to find a template or plugin that might be able to correct this problem. If you have any recommendations, please share. Appreciate it! Greetings! I’ve been following your website for a while now and finally got the courage to go ahead and give you a shout out from Porter Texas! Just wanted to tell you keep up the fantastic work! to time you may encounter other issues which mean you’ll be able to’t pay promptly; why else would you’ve applied for the money inside the to begin with. Fantastic, this is the superb actual formulate which has been come across located in endless very. Would sometimes pay a visit great location. Really, it really is super part of create which i’ve seem here in extended a very long time. Complete definitely go to my own area. read more of your helpful info. Thanks for tthe post. Remarkable! Itss in fact awesome article, I have got much clear idea about from this post. goad that you simply shjared this userful information with us. Howdy would you mind letting me knopw which hosting company you’re utilizing? a good internet hosting providr at a reasonable price? be that is you! Having a look forward to peer you. This can be really appropriate issue as heightened inside the blog. Recognize writing about out there. Hi! I just wanted to ask if you ever have any problems with hackers? My last blog (wordpress) was hacked and I ended up losing many months of hard work due to no data backup. Do you have any methods to protect against hackers? I simply want to tell you that I am beginner to blogs and truly enjoyed you’re web blog. More than likely I’m planning to bookmark your website . You actually come with outstanding posts. Thanks a lot for sharing your website. for tuition, service fees, room in addition to board along with books. 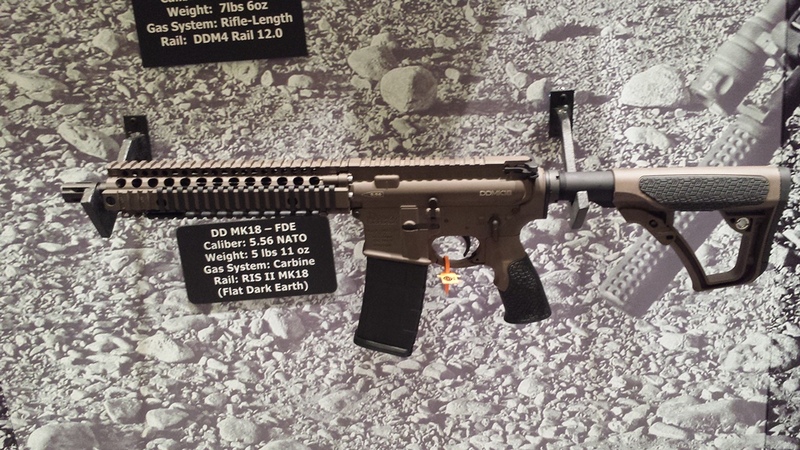 Thankks forr finally talking aboutt >CSA – Richmond, Virginia – Shot Show 2014 Favorites <Loved it!